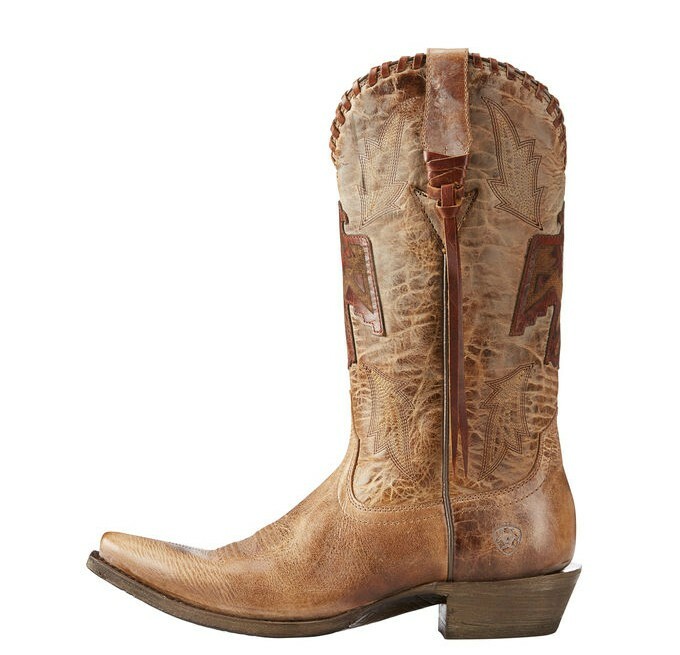 Ever since I got my fabulous Ariat Santos Boots I have been hooked on the traditional pointy cowboy boot toe. If you need to wade into that style slowly, that is the boot to do it with. Those boots are also one of the most awesome things in my closet. If you’re already used to the X-Toe, or it doesn’t intimidate you, you can skip right over to the taller Ariat Thunderbird Boot. Look at this gorgeous boot, isn’t it unique? Thunderbirds are giant mythological creatures responsible in Native American lore, for thunder. They symbolize power and protection. I think it’s wonderful to be able to wear boots adorned with this icon of strength. Get ready for compliments. 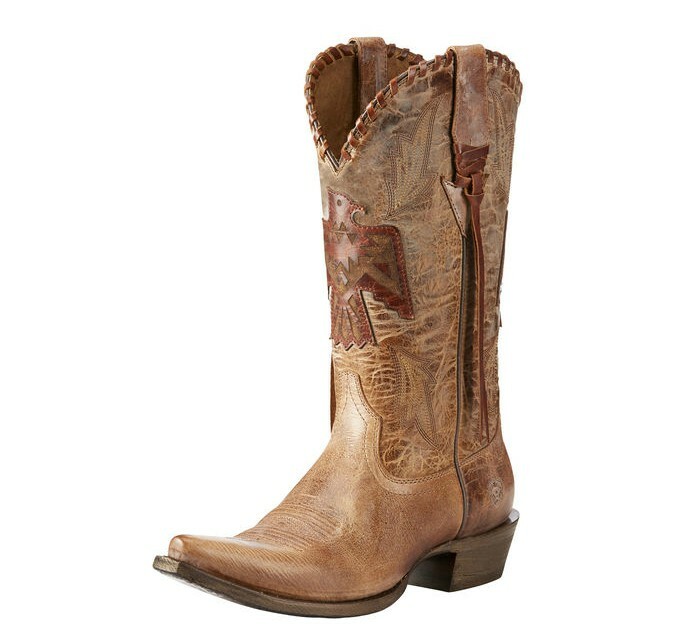 The Ariat Thunderbird Boot looks great with skinny jeans. I’d also wear them with the right dress. I haven’t walked long distances in these yet, but I have in the Santos and the fit is very similar so my expectation is comfort. 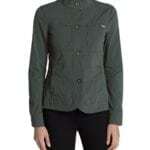 Speaking of fit, Ariat is probably the most consistent brand I’ve ever worn. I always wear a 9 because they are true to size across the board. 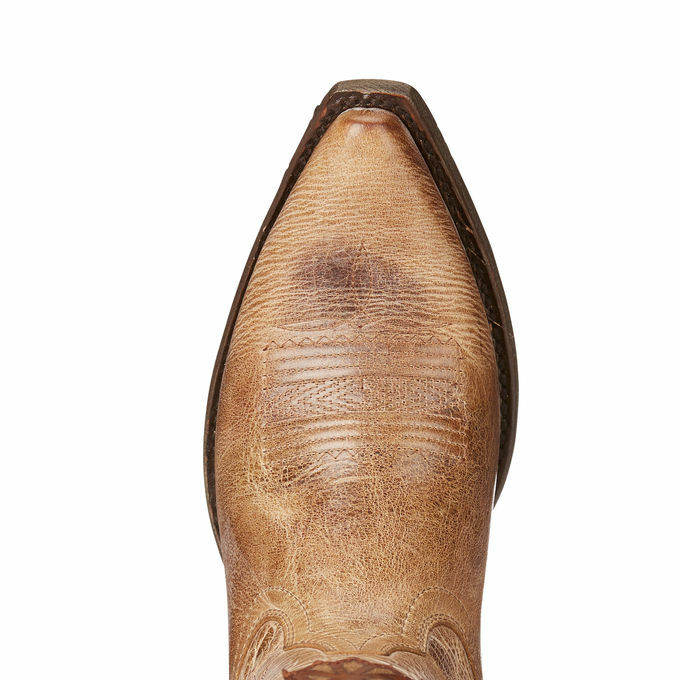 You don’t need to size up to accommodate the cowboy toe. 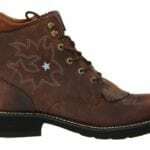 I’m amazed at how comfortable these boots are and this is by design, Ariat’s boots have a cushioned footbed. Premium vegetable tanned leather looks better and better with age. I like the fringe on the sides, whip stitching at the top and the the pull tabs to help get them on easily. 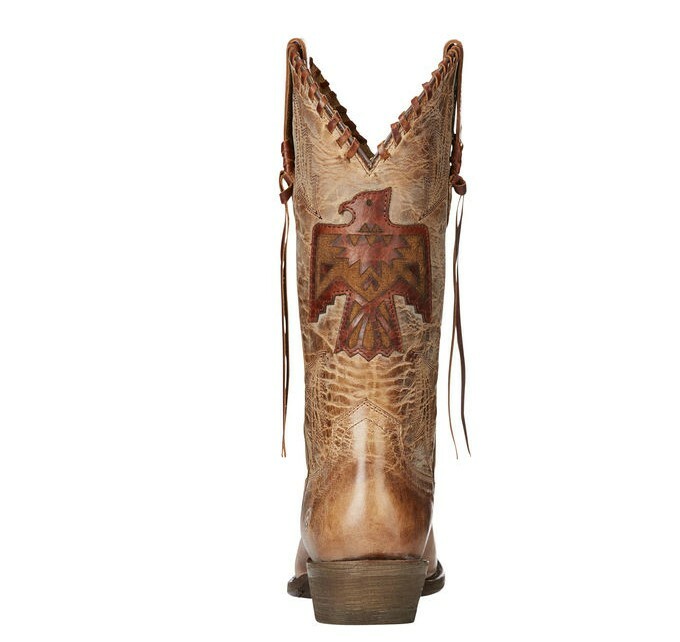 So much detail in these fabulous boots! Obviously these are a dressier boot, and I wouldn’t wear them in the barn but I would wear them riding (I’d probably remove the fringe first–easy to do). 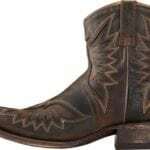 I can’t wait to wear them during my upcoming Colorado dude ranch trip! Stay tuned to hear all about that. 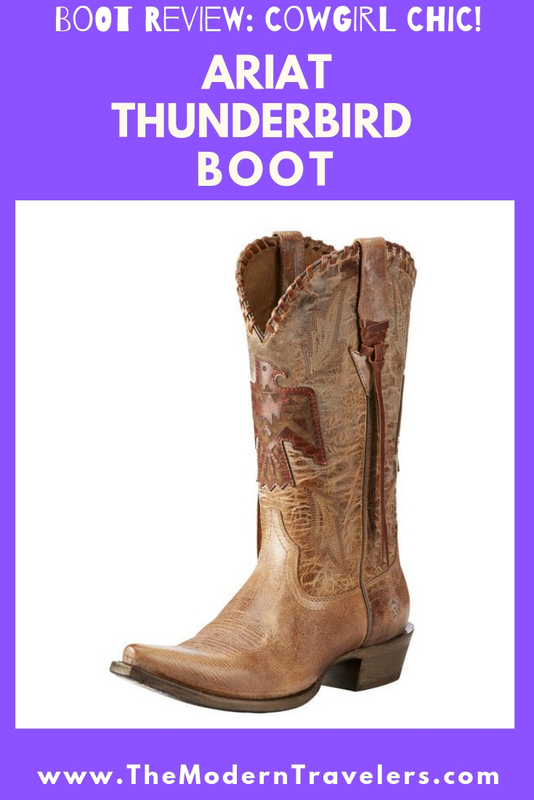 Find the Ariat Thunderbird Boot HERE.